When you’re blessed to have an outdoor area that’s beautiful to look at, you want to make as much out of that outdoor area in the design of your home as possible. On a basic level, this means having gorgeous windows and glass doors that open up to that outdoor space. But, you can always take things a step further than that! 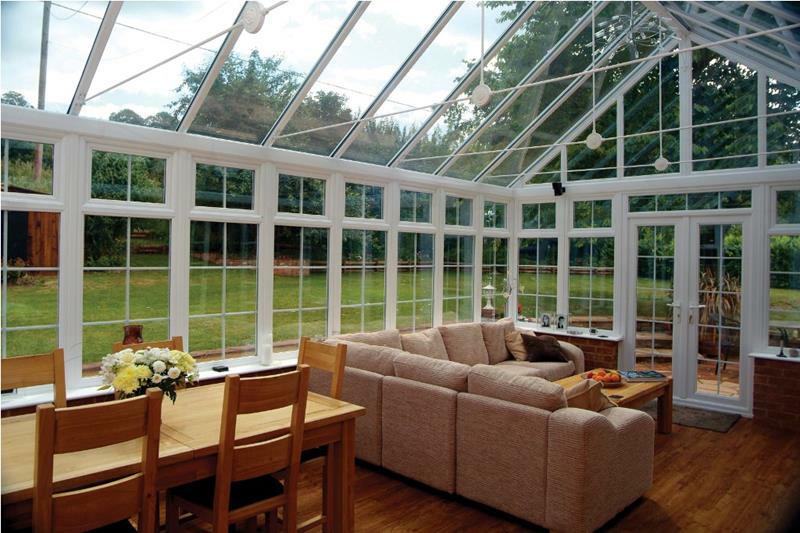 You can also include an amazing sunroom as part of your home’s design. A sunroom, which might also be known as a patio room, sun porch, Florida room or even winter garden, allows for the year-round enjoyment of your property and outdoor living spaces. 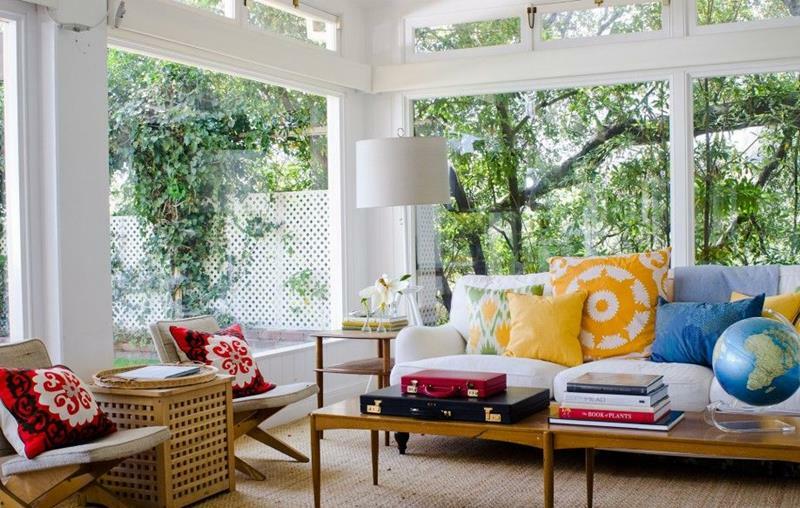 Given the number of different names for the same room, though, it should come as no surprise that there are a number of different ways in which to design a beautiful sunroom for your home. In the 20 examples that follow, we’re going to look at a number of tremendous sunrooms that are each beautifully designed. Though the style of each space will vary, one should be able to find plenty of inspiration here when it comes to designing a beautiful sunroom that will increase the amount of enjoyment you can take in your property and in your home. Let’s take a look! 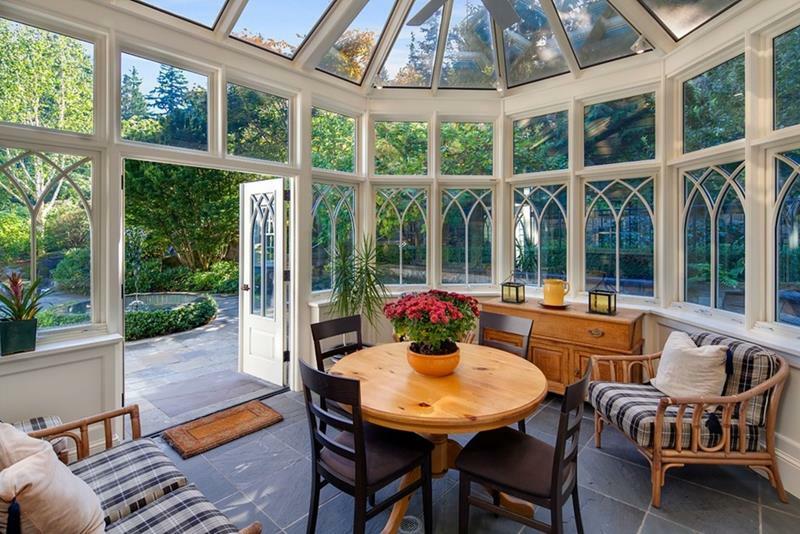 Completely enclosed in glass, this gorgeous and open sunroom incorporates a space for a sitting area as well as a dining area. 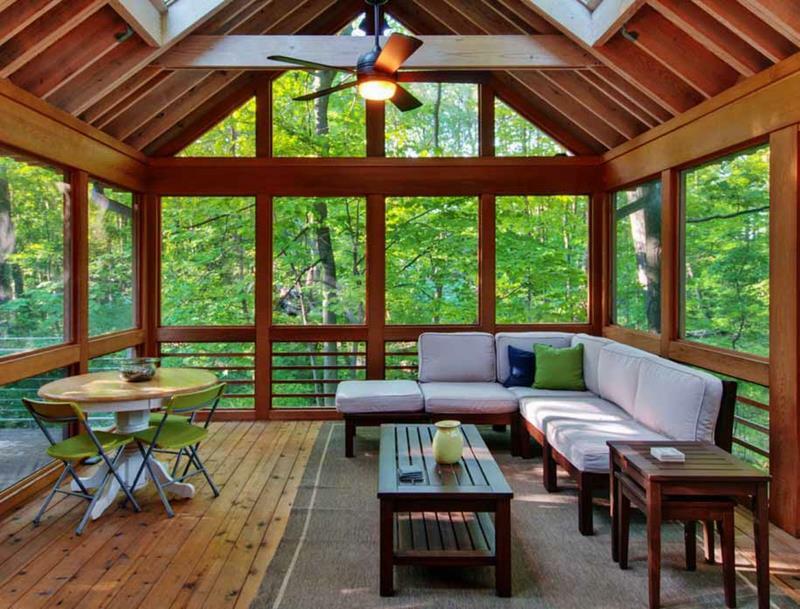 Given the lushness of the woods behind this home, the bare wood beams of this sunroom, which create a screened-in-porch vibe, should come as no surprise. Naturally a sunroom is going to get a lot of natural light! This means you should use bright colors in your décor in order to get the most out of this tremendous gift. 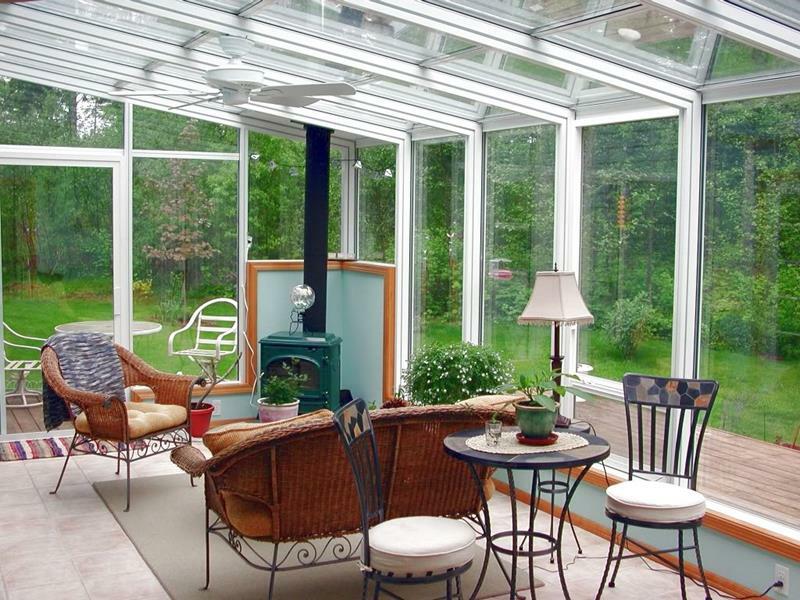 During the winter months, the lack of insulation can make sunrooms cold. That’s why including a stove, like the one you see here, can be a tremendous idea!